Island-endemic species can be particularly vulnerable to alien invasion. There are many examples of introduced insect parasitoids having a serious impact on endemic butterflies and moths. In 2006, a population of parasitic wasps was reared from larvae of the Canary Island Large White butterfly (Pieris cheiranthi), an endemic inhabitant of laurel forests unique to the Canary Islands of Macaronesia. Parasitoids were tentatively identified as Cotesia glomerata (Braconidae, Hymenoptera), a widely introduced agricultural bioagent. To corroborate this finding we sequenced 632 bp of mitochondrial cox1 from parasitoids and hosts from La Palma and from the native range of C. glomerata in continental Europe. 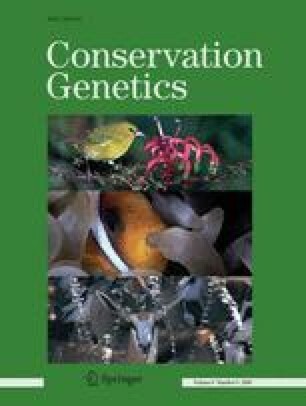 These were combined with GenBank sequences and a character-based, phylogenetic approach was used to assess the species status of parasites and hosts. The La Palma parasitoid could unambiguously be assigned to C. glomerata under the criterion of diagnosibility with corroboration from multiple lines of evidence (DNA, morphology). We suggest that this opportunistic, non-native parasitoid wasp will be a threat to P. cheiranthi and other endemic Canarian butterflies. Parasitoid populations were recorded from P. cheiranthi in marginal forest habitats but not in central forest areas, suggesting that comprehensive habitat conservation of the Canarian laurel forests could prevent penetration of the alien parasitoid wasps and subsequent mortality of endemic butterfly populations. Laboratory studies were supported by an EU SYNTHESYS grant (GB-TAF-2063) and by the Czech Academy of Sciences (1QS500070505 and Z50070508). MTM was supported by the UK Biotechnology and Biological Sciences Research Council (BBS/B/04358). The Environmental Authority of La Palma provided permission for field studies of Lepidoptera.